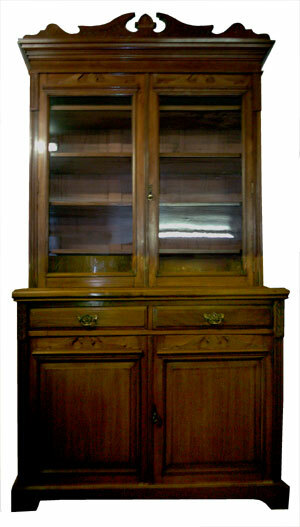 Mahogany, Upper section 2 glazed doors and adjustable shelves. Beautiful ornamental pediment. 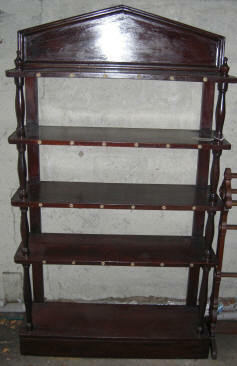 Attractive open bookshelf of very sturdy mahogany construction with stylish turned front supports. 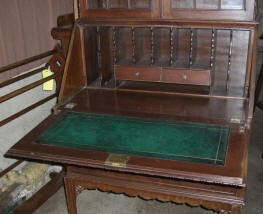 At Pitmedden Furniture Workshop our stock is constantly changing and it is not possible to show all available items. The photographs are examples of bookcases, etc., which we have in stock or which we have recently sold.